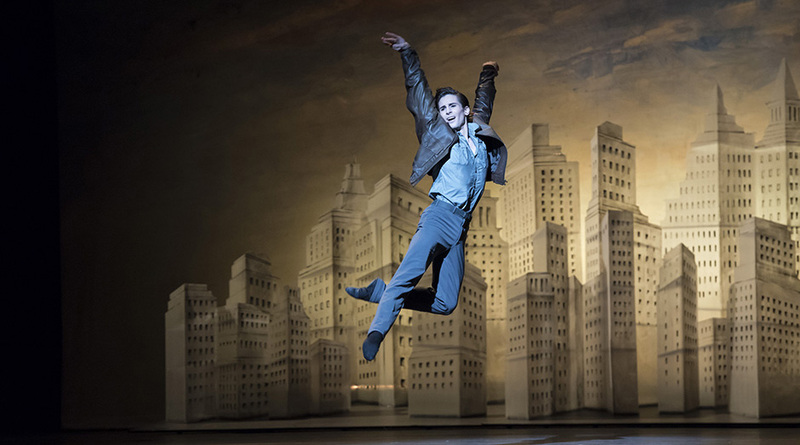 Three Royal Ballet associate choreographers – Wayne McGregor, Liam Scarlett and Christopher Wheeldon – celebrate the music of Leonard Bernstein (1918-1990) as part of the global celebration of his birth. Wayne McGregor’s Yugen is set to Bernstein’s Chichester Psalms which were commissioned in1965 by Chichester Cathedral. The piece blends Biblical Hebrew verses and Christian Choral traditions, a paean for brotherhood and peace. Yugen is a Japanese word which means “a profound, mysterious sense of the beauty of the universe… and the sad beauty of human suffering”. The music is great. I expected something more spiritual, something heartbreaking on stage; but we live in a secular age and “we don’t do God” nowadays. The set, by Edmund De Waal, is towering light boxes in which the dancers initially stand as if they were mannequins in a shop window. The polite applause did not justify the eleven dancers taking individual curtain-calls twice. Liam Scarlett’s The Age of Anxiety is set to Bernstein’s Symphony no 2, which was composed 1949 and inspired by W. H. Auden’s epic poem which won Auden the Pulitzer Prize for Poetry in 1948. The poem is so long, so obscure, and so challenging that even Auden doubted readers would finish it. 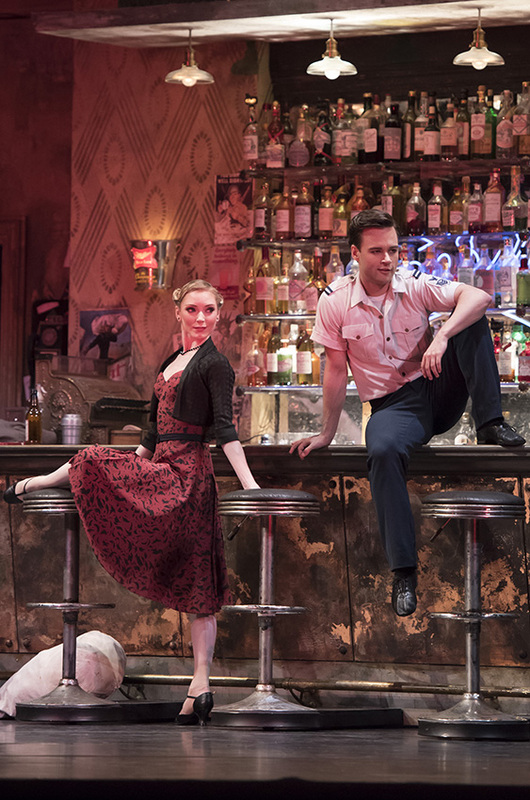 The scene begins in a bar in New York City during World War 2. Four strangers meet: a Jewish retail buyer (Sarah Lamb), a teenage naval cadet (Luca Acri), an Irish businessman (Thomas Whitehead), a Canadian medical Air Force officer (James Hay). They have too much to drink and go back to her home. The poem is about a man’s quest to find substance and identity. The paranoia and soul-searching are left out in the ballet. What we are given is something much more trivial, and pleasantly enjoyable, something in the vein of Fancy Free and three sailors On The Town. Not surprisingly, Auden didn’t like it. 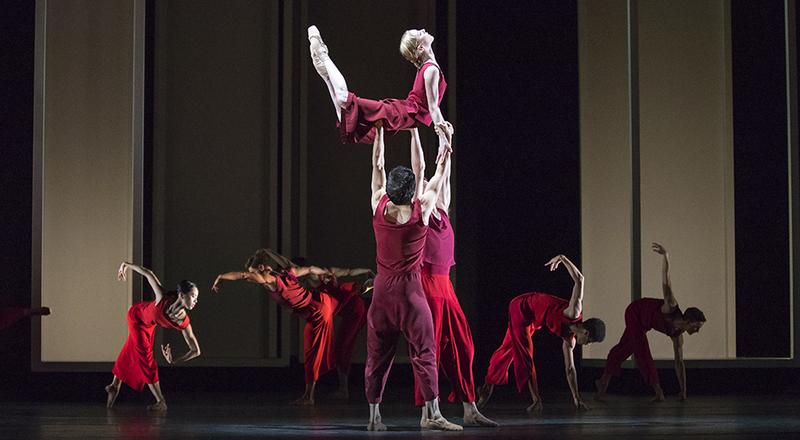 Christopher Wheeldon’s Corybantic Games is set to Bernstein’s Serenade after Plato: Symposium, a violin concerto in five movements, written in 1954 and inspired by Plato’s dialogue in praise of love. Corybants are armed and crested dancing worshippers of the Phrygian Goddess Cybele, mother of the Gods and famed for her orgies. Male not only dances with female, male dances with male and female dances with female. The third movement is danced at speed by Mayara Magri and Marcelino Sambé and ends with him chucking her into the wings. The finale is led by Tierney Heap.